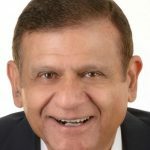 Jeet Radia, PE, CIH, is Senior Vice President of Environment, Safety and Human Resources, McWane, Inc. Jeet Radia has been with McWane, Inc. since 2003. He has more than 30 years of technical and management experience in assisting industrial manufacturing firms with a wide range of environmental, health and safety and sustainability issues. He brings particular expertise on environmental and sustainability concerns related to metal casting operations and processes. Before joining McWane, Mr. Radia was a consultant providing senior level technical and regulatory assistance to industrial clients on a variety of environmental, health and safety issues. He is a registered professional engineer and a Certified Industrial Hygienist. As a recognized expert in the environmental area, Mr. Radia is a frequent speaker at national, state and local conferences, seminars and training courses on environmental issues. He serves on the board of the American Foundry Society and the US Green Building Council’s Alabama Chapter and is Chair of the Air Quality Committee of the American Foundry Society.